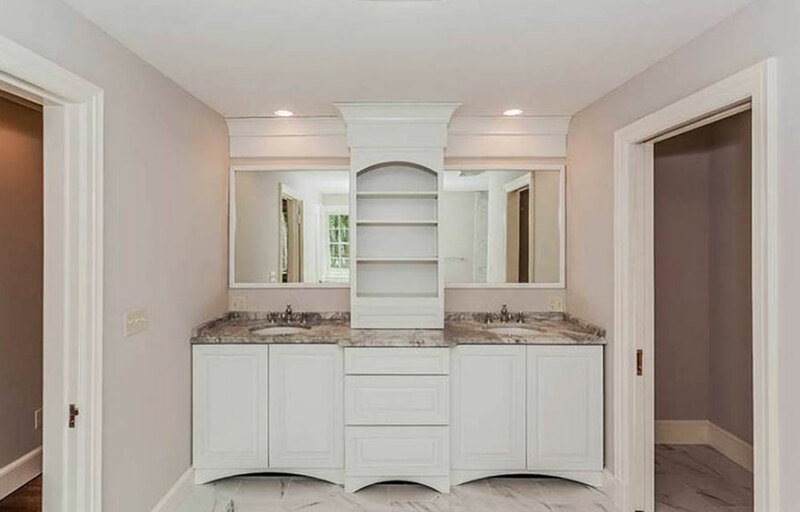 Founded in 2003 by Joseph Dasco, Boulder Hill Development is a boutique design-build real estate development and construction company located in Western Massachusetts. 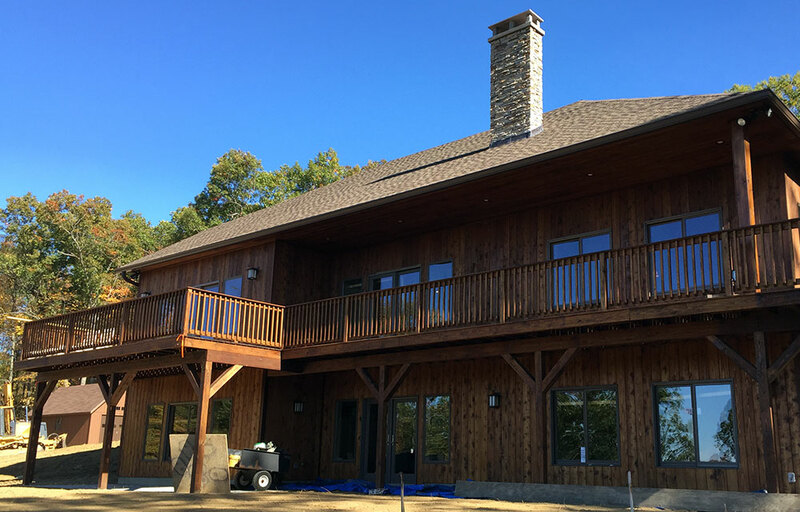 We take pride in projects of every size and style, whether an intimate residential retreat, historically-accurate restoration, or complex commercial challenge. 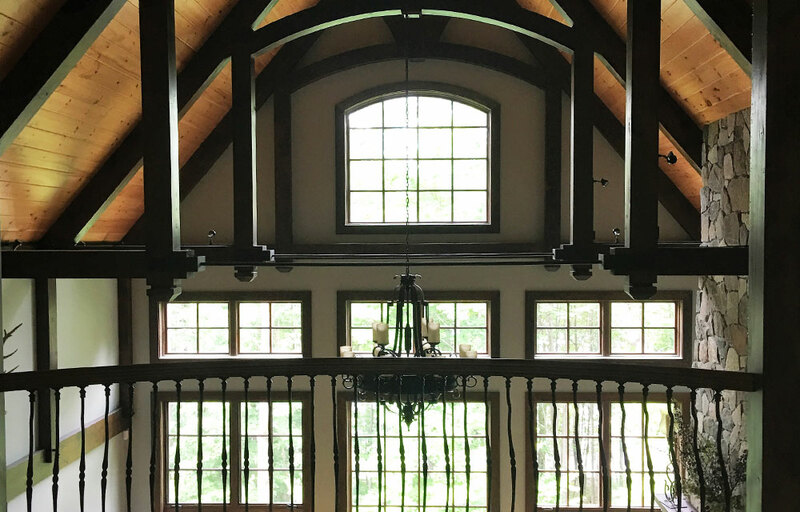 Our mission is to create the homes and businesses built to realize each client’s vision—and that will endure to earn the trust in our name. We build upon the understanding that each customer is the keystone to the spaces we shape together. Every job starts by listening intently to our customers’ hopes and needs for the structures we create or transform. We foster open communications throughout the construction process to maximize efficiency and minimize stress. We believe that collaborative spirit is one of the greatest joys of our job, and the best way to ensure our mutual success. 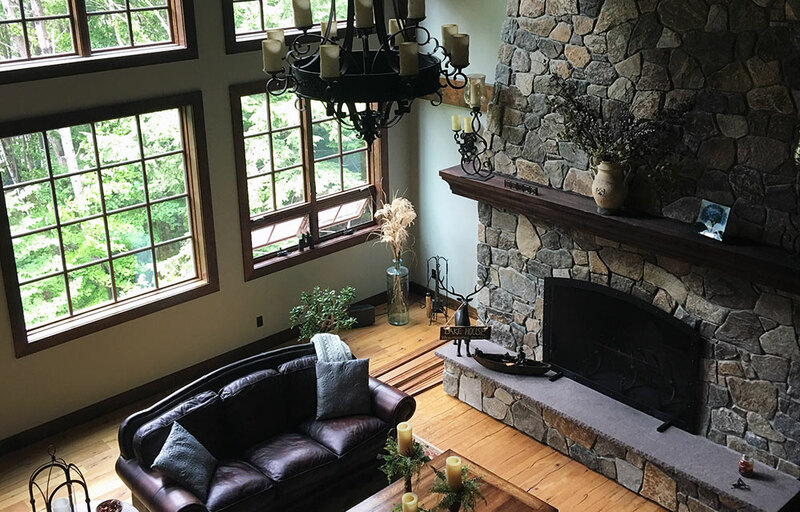 Creating a wilderness retreat at home with loons, bald eagles, and its other wild neighbors required a design as big and bold as the great outdoors. 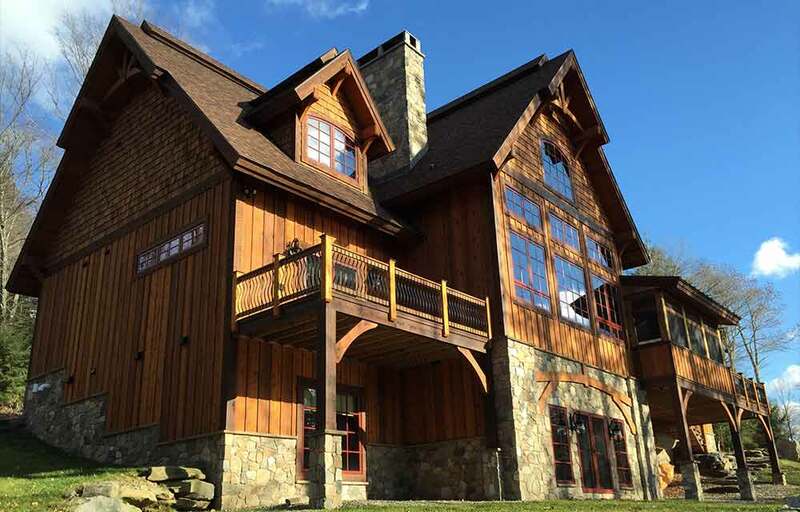 That was the vision that guided the creation of a spectacular 7,700 square foot post and beam lake house, nestled next to the Harriman Reservoir in Vermont’s Green Mountains. 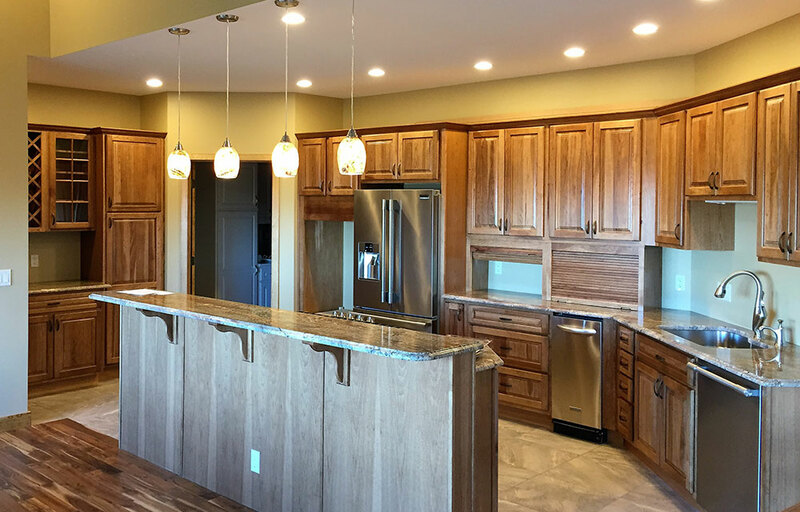 Boulder Hill assisted the owners every step of the way, from site acquisition to design development and project coordination. 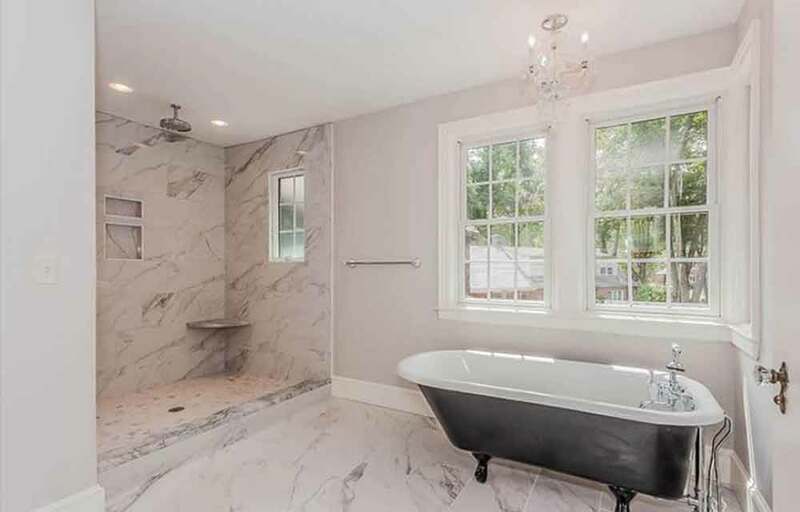 The home’s features include 27-foot ceilings, a 13-foot-wide stone hearth, radiant heat, walk-out basement, and toy garage. 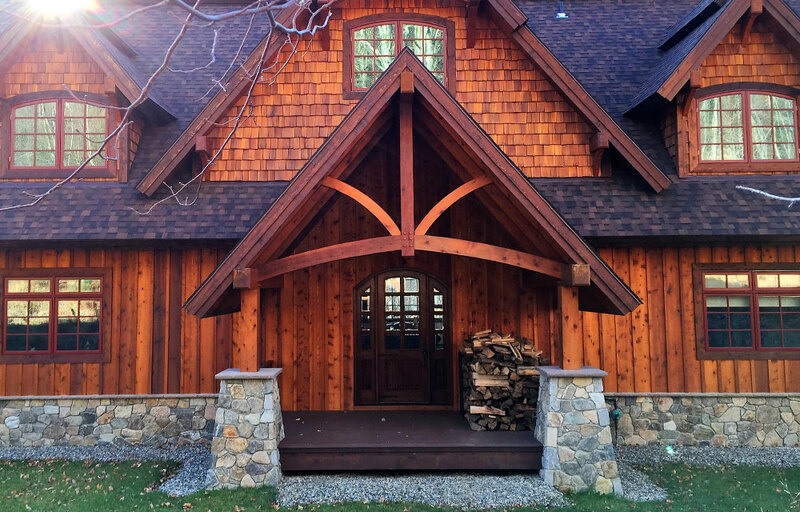 The retreat is finished in a western red cedar board-and-batten, hand-split shake exterior that makes it a perfect fit among the pines. Nothing should come between a seafood fan and their food. 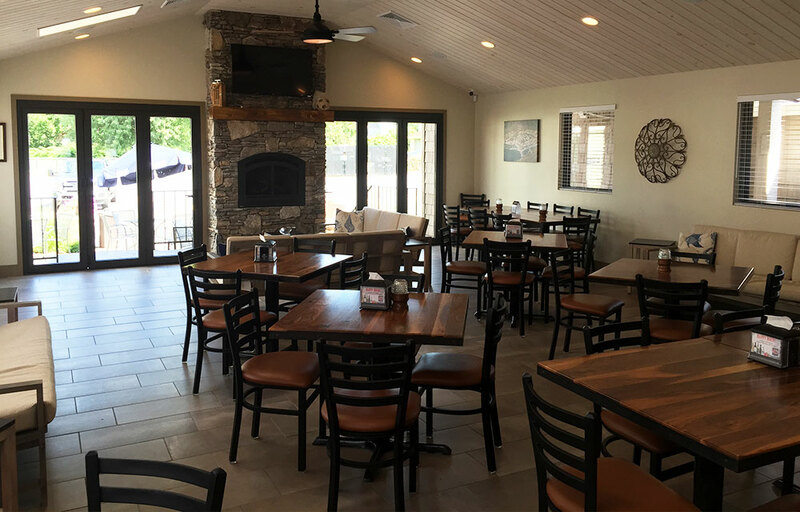 That mandate required the occupied-space construction that could keep one of Northern Connecticut’s most popular restaurants running during a 2,500 square foot expansion. 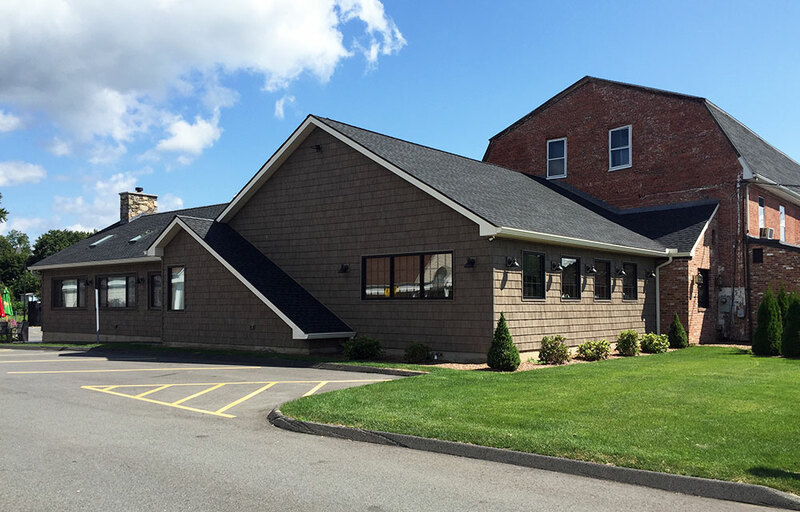 Working around Maine Fish Market and Restaurant patrons and the building’s existing 1791 structure required Boulder Hill’s participation in all phases of development. That work started with the eatery’s initial architectural design and ran right through installation of its interior finishes and custom décor. 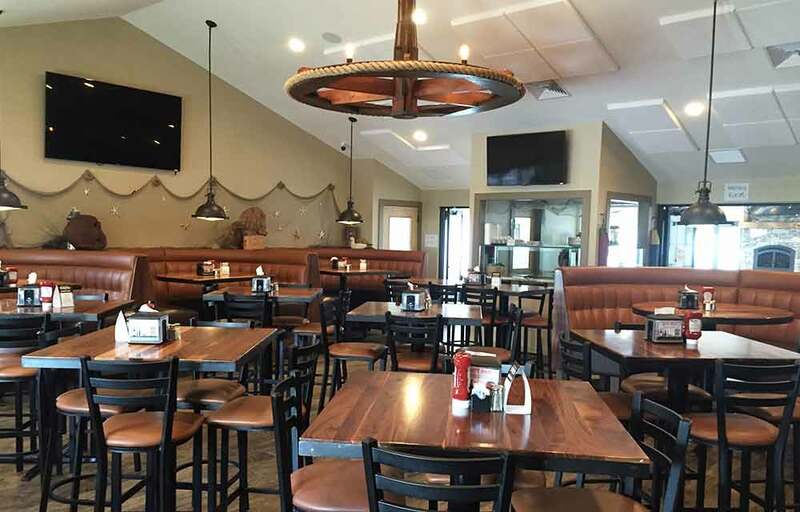 The project was delivered on time and on budget, exceeding owner expectations, while keeping the restaurant’s customers’ satisfied too. Updating a 1920’s Grand Tudor home designed as part of a Fredrick Olmstead neighborhood made respect for the past job one for Boulder Hill. 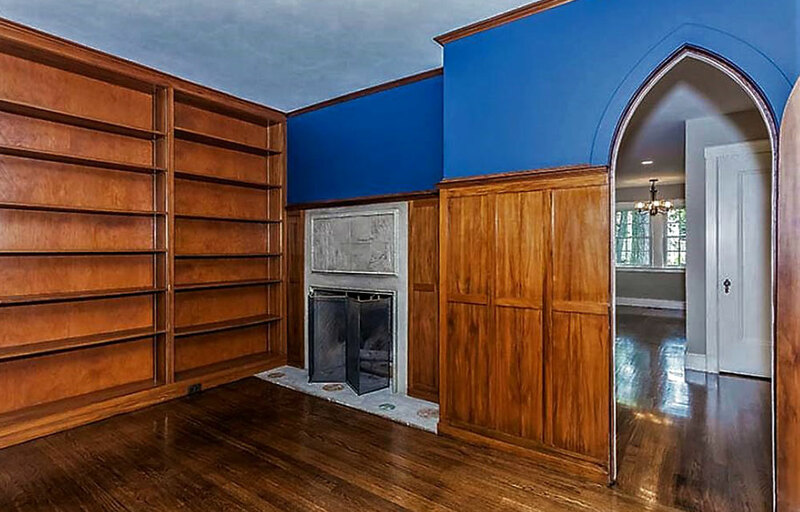 The 5,700 square foot home possessed the kind of rich architectural details only found in an era gone by. Preserving them was the first priority when tackling the building’s comprehensive rehab. 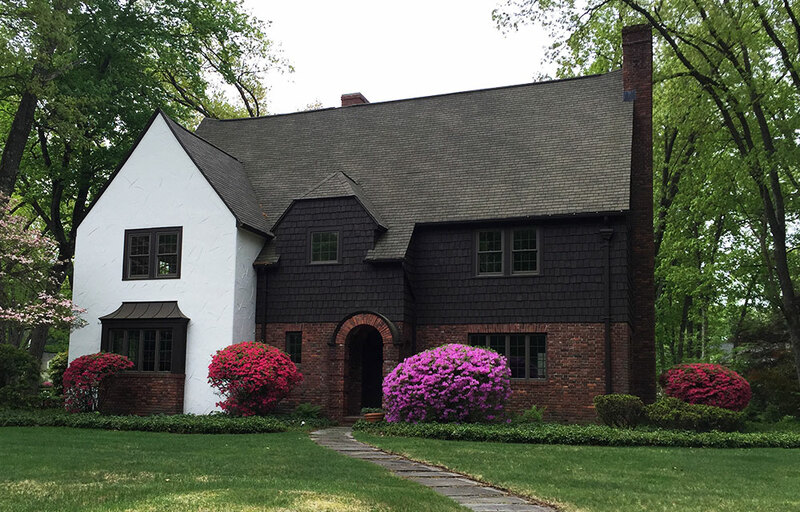 That included an upgrade to all mechanical systems, restoration of inlaid floors, and updates to every room of the four-bedroom home. 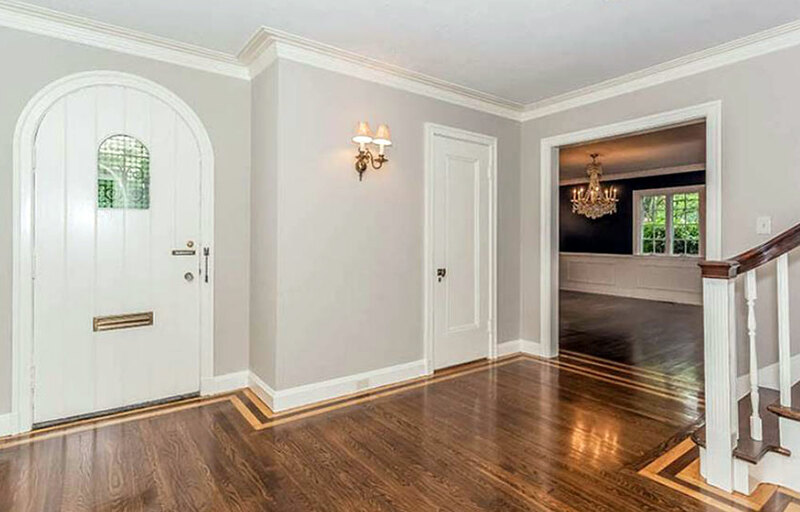 The recreation of a grand living room, dining room, and grand master suite brought the glory of the past to life again. 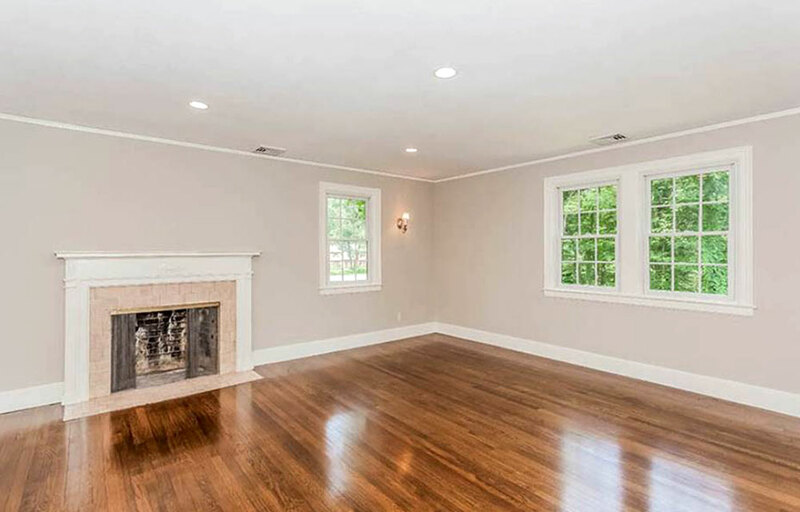 The new family room that was created fit in with these spaces perfectly, granting a place where the home’s residents could relax in modern comfort, surrounded by the rich reminders of the past. 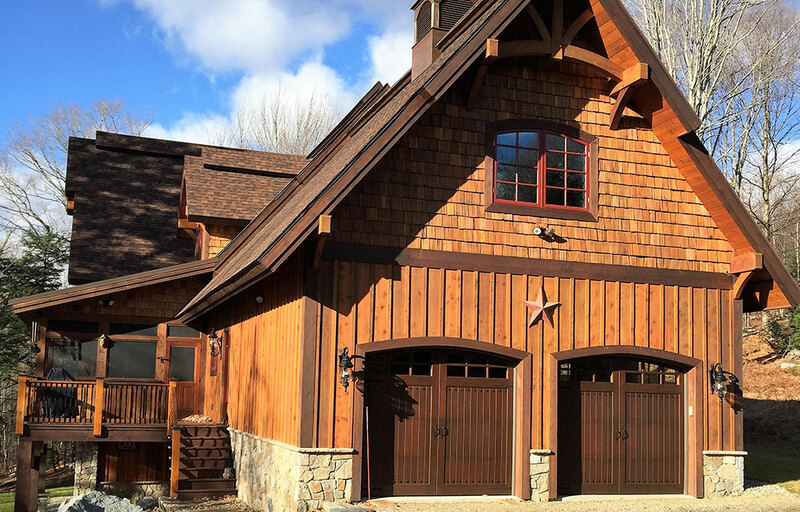 The crowning achievement for the 12 acre, 10-lot subdivision Boulder Hill developed was a mountain top home with a bargain-basement energy bill. 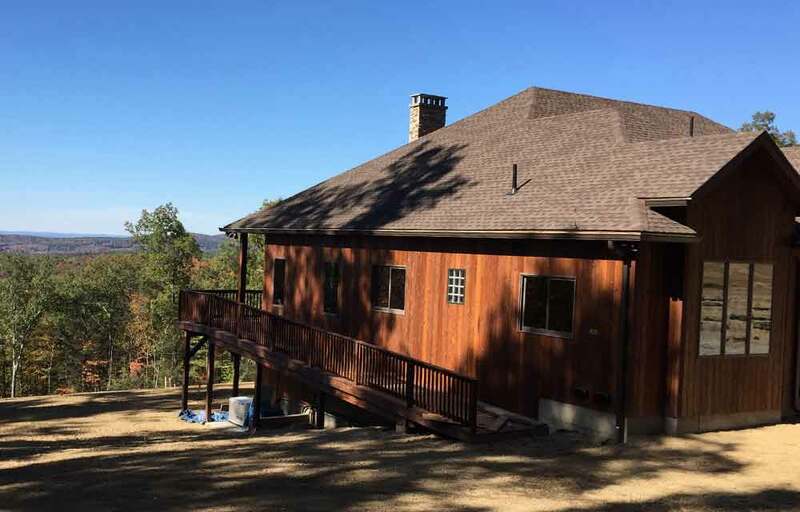 The hilltop hideaway was finished with western red cedar tongue-and-groove siding, a ledge stone chimney, and an 80-foot wrap-around deck perfect for taking in the 100-mile views. Those grand features were complemented by others that will never be seen but are certain to be felt. 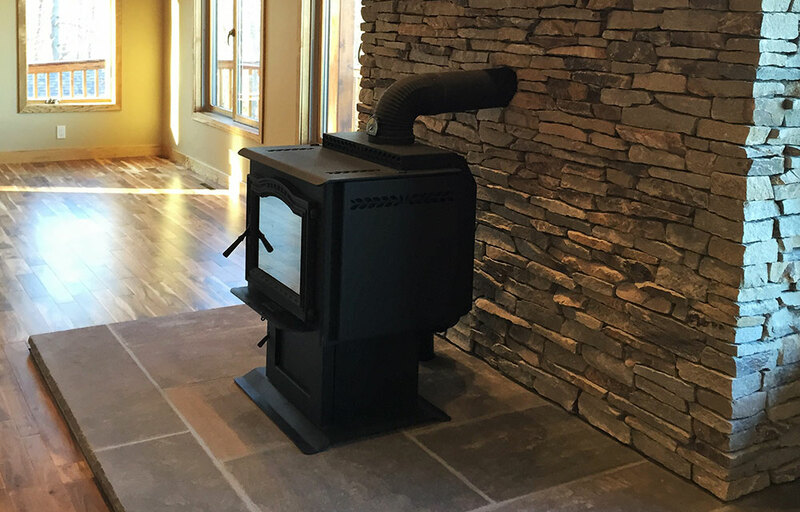 That suite of coordinated energy-saving measures included a high-efficiency propane furnace, on-demand propane water heater, passive solar design, and use of both open and closed cell spray insulation. The final residence rewarded its owners with not only an outstanding space to relax in but a sustainable energy credit from the Mass Save Program as well.